Danny Healy-Rae is an Irish politician. He has represented the constituency of Kerry since 2016 as an Independent. 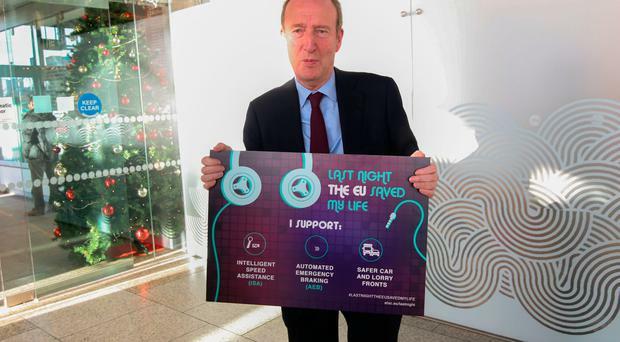 Ryan NugentTransport Minister Shane Ross hopes to bring his new speeding legislation to Cabinet colleagues in the next two weeks. Wayne O'Connor Kerry TD Danny Healy-Rae said he has sought legal advice after being branded a "road traffic terrorist" by Transport Minister Shane Ross. Wayne O'Connor Kerry TD Danny Healy-Rae said he has sought legal advice after being branded a “road traffic terrorist” by Transport Minister Shane Ross. Wayne O'Connor He claims fairies are responsible for the poor condition of Kerry roads but now it can be revealed Danny Healy-Rae is a leprechaun denier. Ryan Nugent Green Party leader Eamon Ryan has challenged Kerry TD Danny Healy-Rae to a debate on climate change in the Independent TD's hometown of Kilgarvan. Ryan Nugent Kerry TD Danny Healy-Rae has said storms were worse hundreds of years ago than they are now - insisting it rained for two years in the 1740s. Ryan Nugent KERRY TD Danny Healy-Rae has said storms were worse hundreds of years ago than they are now - insisting again that he does not "subscribe to the idea that man can influence climate". Ian Begley Independent TD Danny Healy-Rae has claimed that having up to a pint and a half before driving would not cause an accident. Sorcha O'Connor A leading fairy expert has backed Danny Healy-Rae's claims that a group of fairies is to blame for poor road conditions in Co Kerry. John O'Mahony It was a puzzling case of Danny Healy-Rae and the 'little people'. Louise Kelly It would be difficult for many to remain positive following the challenges Uber has faced since establishing a base here, but the boss of the ride-sharing app's Irish arm bucks the trend. Robin Schiller and Ian Begley Medical professionals have rubbished claims made by Danny Healy-Rae that eating a big meal and getting behind the wheel is just as dangerous as drink-driving. Kathy Armstrong Drink-driving figures are "shoved down our throats" and we shouldn't "point the finger" at motorists with low levels of alcohol in their system, TD Michael Healy-Rae said this morning. 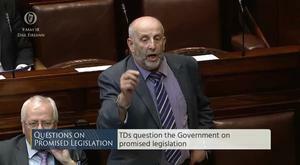 Independent.ie Newsdesk INDEPENDENT Kerry TD Danny Healy-Rae has again hit out at Transport Minister Shane Ross over new drink driving proposals. Independent.ie Newsdesk Politics is tiring work. KERRY County Councillor and publican Danny Healy-Rae has been fined €150 after he pleaded guilty to allowing people to consume alcohol “after hours” in his premises. By Majella O'Sullivan THE late Jackie Healy-Rae doesn't need a road named in his honour to be remembered, his son has said.